The Brandon Intermediate Environmental Group have become passionate advocates of Cannons Creek Lake as they work to restore it to its former state. The students have taken on the revitalisation work as their Kaitiaki project with a vision to create a place of cultural, ecological and community significance in the heart of Cannons Creek, a beautiful place for us all to be proud of. 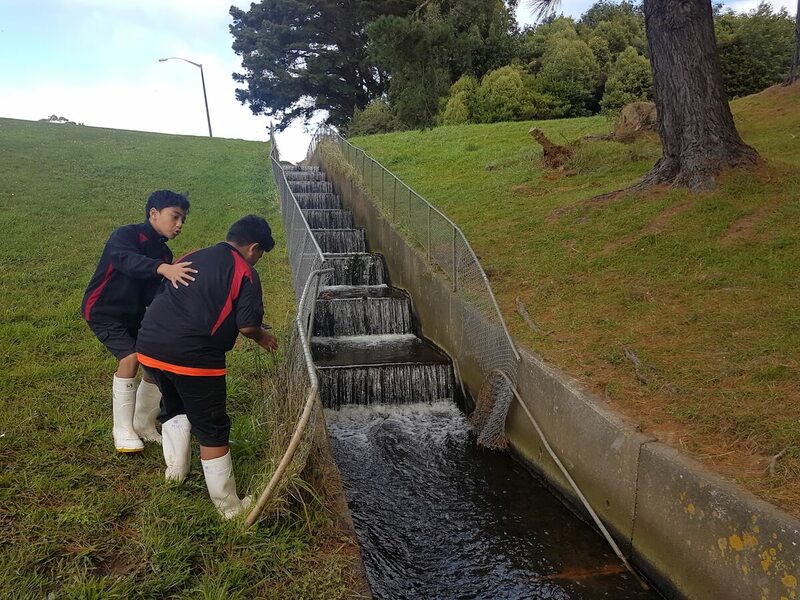 Jacqui Watts-Pointer, a teacher at Brandon Intermediate, says that by working together with a team of experts from Porirua City Council and Mountains to Sea, the students have learnt how to identify local fish species. The students have spent time discovering the importance of water quality and how to test this. For the past two years, the Kaitiaki group have put forward submissions to Porirua City Council. Their concerns have been listened to and work has been granted in the Long-Term Plan with dredging of the lake set to begin in the next two years. In the meantime, there are a number of ‘sub projects’ they are now working on to further establish Cannons Creek Lakes as a destination spot for their community and a desirable biodiverse habitat. The students recently won a grant and have planted native trees along the connection to Kenepuru Stream.